I love the smell of bread baking and of course, the taste is even better. It has been a long time since I have made some homemade bread. My boys went camping this weekend with their dad so I have the whole house to myself. So with all this free time on my hands, I thought it was a perfect time to make some bread. I just love the feel of kneading bread dough, it is so relaxing. Then there is the aroma of the dough rising. Do you like the scent of bread cooking? There is a bread factory a couple miles from my house and when we drive by it, the kids and I always roll down the car windows so we can take in a deep breath of the bread baking. Since I decided to make a Rosemary garlic bread, the aroma of my bread baking was very intense. I really enjoyed the aroma of my bread baking, I wish I could bottle it. I do love the way garlic smells. Oh, and it tastes even better. When I bake, I insist on fresh garlic. I buy a huge garlic bulb and use plenty of garlic cloves in my bread. I like to mince the garlic cloves with a garlic press to get the full flavor. I use to think that garlic presses were a pain to use as my old one had too many parts and it was difficult to clean. That thinking has changed with my new Garlic Press. I just love how this stainless steel garlic press has no removable pieces that can get lost in the drawer. The included cleaning brush makes cleaning my press so easy. I use this garlic press all the time. I think my favorite feature of the garlic press is the large chamber that allows me to press more than one clove at a time. That was good as my Artisan bread has a lot of garlic in it. I also need some garlic for the sea salt garlic butter that I was making with the bread. 1. In a large bowl stir together the 3/4 cup water and yeast. Let stand for 5 minutes. Add milk, sugar, olive oil, and salt and mix well. Then add olives, garlic, rosemary, and parmesan cheese and stir well. Mix in flour and combine well. 2. Place the dough on a floured surface and knead well, adding flour if needed to form a nice nonsticky dough. Place dough in an oiled bowl and cover with oiled plastic wrap. Let rise in a warm place for about an hour. 3. Place the dough on a floured surface and form into a 6 inch round loaf. Transfer the loaf to a large greased pie pan that is lightly sprinkled with cornmeal, using a spatula if needed. Place the loaf in a warm place to rise for an hour or until doubled in size. I like to turn the oven on for 30 seconds to a minute and then turn it off to make a great rising place. 4. Take the risen dough out of the oven and preheat the oven to 400 F. In a small bowl, combine beaten whisk together egg and 2 tablespoons water and brush this over the loaf. Bake for about 25 minutes until an instant-read thermometer reads at least 200 F. Remove bread from baking sheet and cool on a wire rack. Serve with garlic butter and olives. If using a bread machine, place all ingredients except cornmeal, egg, and 2 tablespoons water into the bread machine pan. Set in on dough setting and skip step 2. Proceed to step three when the machine is done and continue with remaining steps. Combine the garlic and sea salt into the butter, stirring well. Spread the butter on the warm bread and enjoy. The link in the form does not work but I went to the one in the review and I learned that it comes Packaged in a beautiful gift box. Yes the link just goes to a blank page. I used google and it shows it is a 4 in one tool which is cool. It is a 4 in 1 kit made of sturdy stainless steel. It will peel and mince your garlic, clean the garlic press and comes with a cleaning brush. I learned that it has a chamber that can fit multiple cloves at once. I learned that the press comes with a lifetime warranty! I learned that is comes with a cleaning brush. I learned that the silicone tube makes peeling garlic a breeze. I learned it has an ergonomic handle for a comfortable grip - and it will never rust. Love that it comes with a cleaning brush. They are a pain to clean. This bread sounds phenomenal! I can't wait to try this recipe SOON! I learned that it is dishwasher safe yeahhh. My tummy is grumbling now because this looks amazing! I'd love a slice right now! 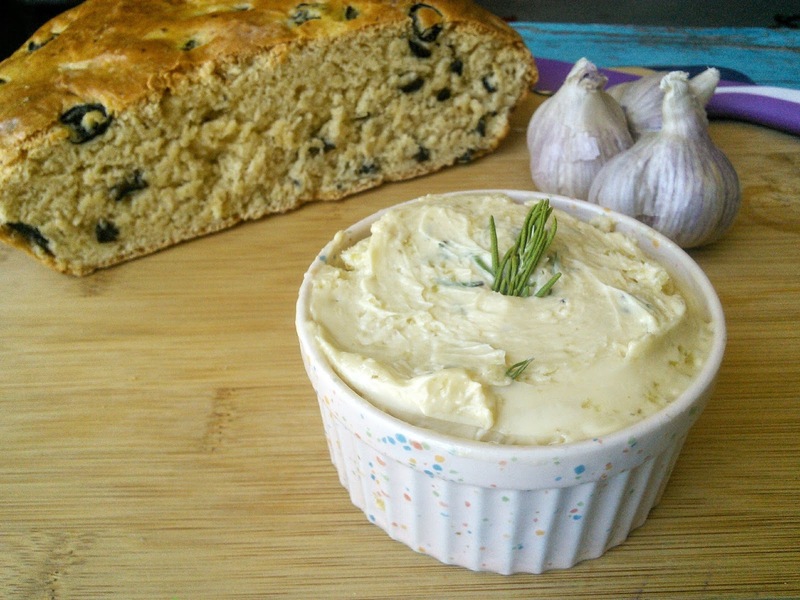 Rosemary garlic bread sounds so yummy right now! I need to try making my own bread! I learned that you can use the brush to remove any residual garlic left in the mincer before washing. WOW that looks amazing. I would love some of that. I learned that I need this tool in my kitchen!!!! I love that it comes with a cleaning brush. I'm sure it makes cleanup a breeze. This stainless steel press has no removable parts. 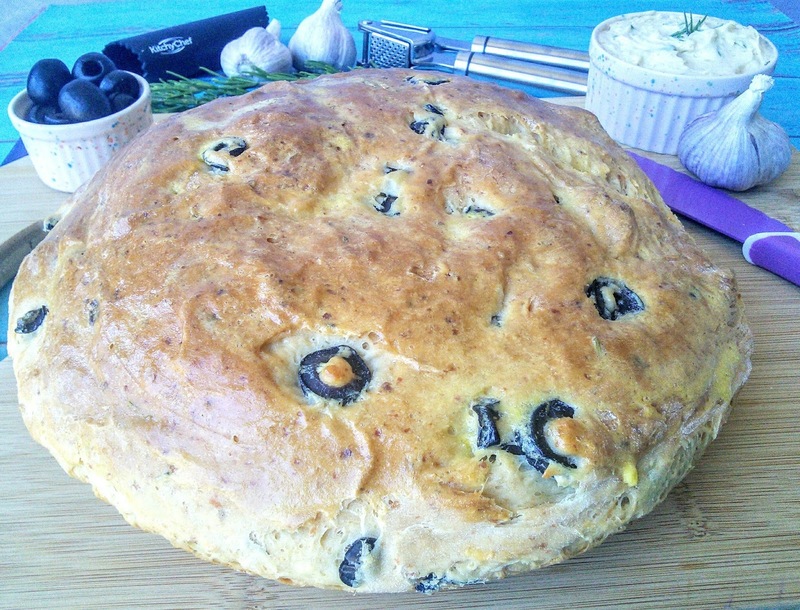 I can just imagine how heavenly this Parmesan rosemary garlic bread smells as it is baking! I think baking bread is one of the most heavenly smells and it makes the house feel so comforting and cozy. Garlic bread is one of my favorite and I paired it with my favorite brewed coffee. Perfect for morning boost! I learned that it has an ergonomic handle which would be great for me. I learned that its a top quality tool made of stainless steal. I learned that this has a comfy grip, thank you so much! Well now doesn't THAT look insanely mouth-watering!! You are such a good baker and cook. That bread looks fantastic and sounds so savory. 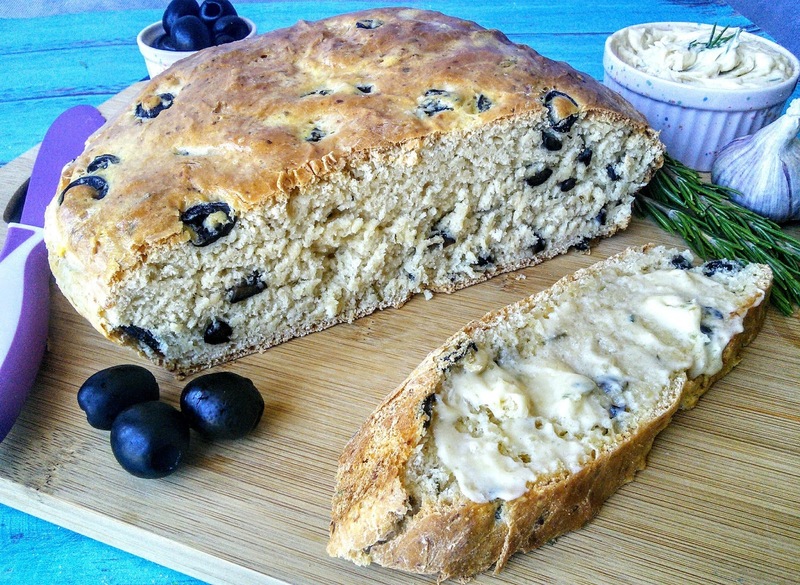 I love eating dense bread like that with flavored butter, some fruit and a glass of wine. This garlic press features an ergonomic handle for a comfortable grip and a large chamber that fits multiple cloves. That looks amazing and it would be so nice to make this for the family. My husband will definitely enjoy this and the butter as well. I learned that it also works with unpeeled cloves. I learned that it is made of sturdy stainless steel. I learned this product is made of stainless steel and has a good grip. I've always thought they were a pain to use as well. I suppose my mind has been changed! I learned that it comes with a dishwasher safe. I like that it is made of stainless steel. I like that it won't rust! This is a very unique garlic bread. Never saw anything like this before. It looks healthy but I am really curious of how it tastes. Okay, that looks amazing! And hey, I have that garlic press! I love it! 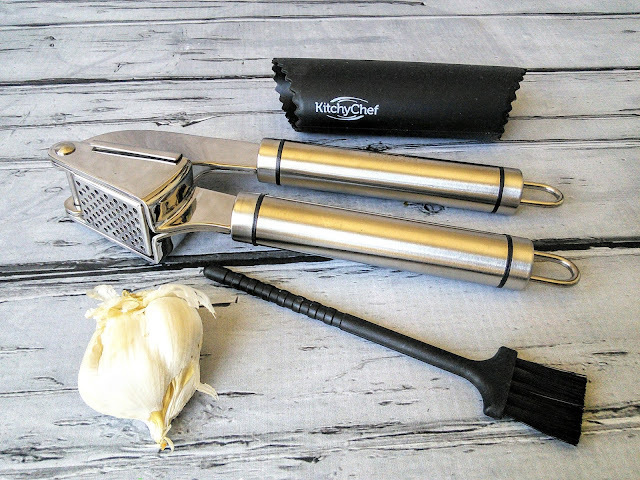 I learned that the KitchyChef garlic press is different, the basket is 100% completely colsed to avoid the garlic from getting stuck in the basket corners and it will be easy and simple to use & clean. This is great because mine is such a pain and does not work right and leaves garlic all around. I learned that it is Made of sturdy stainless steel, this garlic press features an ergonomic handle for a comfortable grip and a large chamber that fits multiple cloves. It will never rust. I learned that it has a lifetime guarantee, and it will never rust. I learned that it is a 4 in 1 set & made of stainless steel. We have a garlic press set and we love it. We use it all the time. We will have to try this recipe! I learned "I need one of these!" Oh my goodness this sounds so yummy!! I will have to make this soon! I learned that it somes with a tube that makes peeling the garlic a breeze. I always have trouble peeling those darn cloves! I read that the BASKET is COMPLETELY CLOSED for EASY USE & CLEAN: The KitchyChef garlic press is different, the basket is 100% completely closed to avoid the garlic from getting stuck in the basket corners and it will be easy and simple to use & clean. I learned it has A LIFETIME WARRANTY! Yum!!! This looks really good! I love rosemary bread, it's one of my favs! Wow that looks so good! Thanks for the great tips! Definitely a dish I am going to have to try out! I learned that it has a lifetime warranty. Thanks! I learned that it comes with a cleaning brush to clean it. Flyergal82 at (yahoo \dot -com! It has a chamber that can house many garlic cloves for ease in use and it is dishwasher safe for easy cleaning. I learned that it has a lifetime warranty and won't rust. Plus it is dishwasher safe and has a cleaning brush too. I love that it's stainless steel so no paint will come off with use!! It comes with a lifetime guarantee! Not many garlic presses have that! I like that it comes with a free recipe ebook! I learned that it's a lifetime guarantee and it's a complete 4 in 1 kit. I learned that it comes with a lifetime guarantee. Thanks for the chance to win it. Made of sturdy stainless steel, this garlic press features an ergonomic handle for a comfortable grip and a large chamber that fits multiple cloves. It will never rust. That it's a 4 in 1 and has a lifetime warranty! I learned that it has the basket completely closed for easy cleaning. I learned that if you register it when you receive it then you will get a lifetime warranty. I learned that it has a lifetime warranty. This tool is made out of stainess steel. Peel and mince your garlic, clean your garlic press, and prepare delicious recipes with this all-in-one set that includes a garlic press, peeler, cleaning brush, and eBook. It is cool that it has that cleaning brush included too. That is a great help. I learned I need this tool in my life :) it has a large chamber to fit more than one clove. I learned that this tool is made out of stainless steel, that it comes in a great gift box. I learned that if I buy two, can get 10% off. I learned that the basket is enclosed for easy cleaning. COMPLETE 4 IN 1 KIT: Peel and mince your garlic, clean your garlic press, and prepare delicious recipes with this all-in-one set that includes a garlic press, peeler, cleaning brush, and eBook. I learned that it features an ergonomic handle for a comfortable grip and a large chamber that fits multiple cloves! This particular garlic press keeps garlic from getting stuck in the basket corners. I love the lifetime guarantee and that it will never rust! The health benefits of garlic are well documented, eating garlic raw is the way to maximize garlic's health benefits by eating and using garlic recipes. i learned it comes with a lifetime warranty. It comes with a brush to get all of the garlic out of the mincer. I love that! I learned that it comes with a Lifetime Warranty. I learned it comes with a bonus brush and peeler. I learned that the press is easily cleaned. I love that warranty! Wow! I am one of the winners! Thank you.